John Young Copeman (1886-1958) – Temple Lodge, No.33, Duncan, B.C. 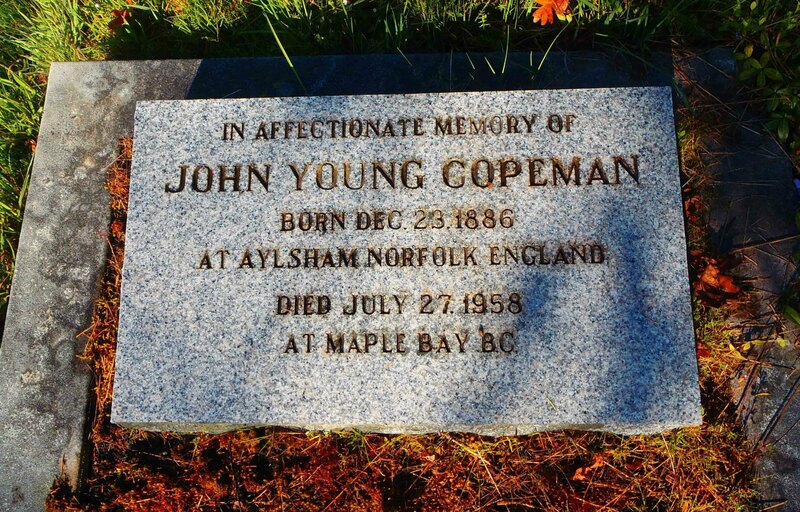 Brother John Young Copeman (1886-1958) was a lawyer in Duncan, B.C. and in Victoria, B.C. At the time of his death in 1958 he was City of Duncan solicitor. John Young Copeman joined Temple Lodge, No. 33 in 1924. John Young Copeman, prominent Duncan and Victoria lawyer, died suddenly at his Maple Bay summer home Sunday. At the time of his death he was Duncan city solicitor and chairman of the board of governors at Shawnigan Lake School. While working in the Victoria solicitor’s department, he joined the army and served overseas in the First World War. In 1919 he returned to Victoria. He was born in Aylsham, Norfolk, England, on December 23, 1886, and came to Canada in 1910, Mr. Copeman was admitted to the bar in 1911. He is survived by a brother, Robert, in England and a cousin, W.F.U. Copeman, Victoria. He served in France and Mesopotamia during 1914 and 1919 while he was in the Imperial army. He was a member of Cowichan branch, Canadian Legion; the Fourandex Club at Victoria; was a past president of Victoria Union Club and a member of the Constitutional Club, London, England, and was a former Mason. Services will be held today at 3:30 p.m. with Rev. W.E. Greehalgh officiating in St. Peter’s Anglican Church, Quamichan. 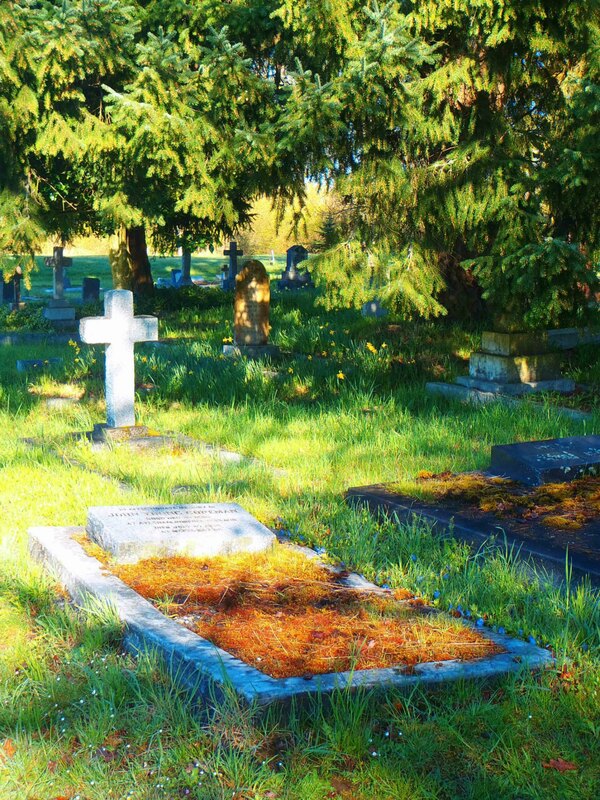 Interment will be in St. Peter’s Churchyard. Members of the Fourandex Club, Victoria, formed a guard of honor as the casket bearing John Young Copeman was born to St. Peter’s Quamichan Anglican Church cemetery for burial services July 27. Rev. W.E. Greenhalgh, assisted by Archdeacon Nunns and Rev. E.M. Willis, officiated at the service.